Living day to day with severe or chronic pain can be agonizing to your spirit, your family and your life. There is hope for patients with chronic head, neck, face and back pain. Millions are disabled with chronic pain. It i estimated that 100 million Americans have chronic pain and as many as 11 million are disabled by chronic headaches and migraines. Just outside Chicago in Highland Park is a small office dedicated to giving patients their lives back by freeing them from their painful prisons. Dr Shapira utilizes SPG (SphenoPalatine Ganglion) Blocks that were featured in the book “Miracles on Park Avenue” and was the story of Dr Milton Reder a New York ENT who saw thousands of patients from around the world seeking pain relief. Dr Shapira has over 100 patient testimonials on his YouTube channel. Many of the testimonials are from physicians or dentists who have taken Dr Shapira’s courses on techniques for utilizing these “Miracle” blocks. Each and every patient is unique and different methods of giving the blocks are important to some patients. 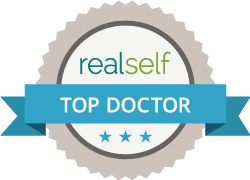 Self-Administration is the ideal method according to Dr Shapira because it frees the patient from trips to doctors offices and emergency rooms and gives them immediate access as needed. The Sphenopalatine Ganglion is the largest Parasympthetic Ganglia of the head and lies in the Pterygopalatine fossa behind the palate and is attached to the maxillary division of the trigeminal nerve. SPG Blocks are especially effective for chronic headaches, migraines, cluster headaches and other Trigeminal autonomiccephalgias because of its control of the autonomic nervous system of the head and throughout the body. Sympathetic fibers from the cervical ganglion chain also pass through the ganglion and travel along the course of the Trigeminal Nerve. We are all familiar with trips to the dentist where we receive anesthetics for dental work and know the feeling of numbness when we leave. What many of us are not aware of is the the Trigeminal Nerve is actually part of the brain as are the other 11 cranial nerves. The Trigeminal Nerve or fifth cranial nerve goes to the teeth, the jaw bones, the jaw joints or TMJ (TM Joints), the jaw muscles, the periodontal ligaments, the gingiva and mucosal surfaces of the mouth (the gums), the anterior 2/3 of the tongue. ENT’s are also extremely familiar because it goes to the mucosa of the nose and sinus linings and is responsible for sinus pain and sinus headaches as well. Many patients have hearing problems related to the Trigeminal nerve because it innervates the tensor muscle of the ear drum (Tympanic membrane) or Tensor Veli Tympani. It also controls the opening and closing of the eustacian tube thru the Tensor Veli Palatini muscle. This is the muscle that prevents food and liquids from entering the nose. There are three branches of the trigeminal Nerve. The mandibular Branch and the maxillary branch are where Dentists are the acknowledged experts. The opthalmic branch is often thought of belonging to the opthamologists and facial surgeons but in truth dentists are primarily responsible for input to this part of the trigeminal nerve as well. Retro-orbital pain and the lower eyelid are controlled by the maxillary branch while the upper eyelid and forehead is the opthalmic branch. Control of nociception into Trigeminal Nerve is the ideal method of reducing or eliminating headaches and migraines. The Sphenopalatine Ganglion is a tool to control the autonomic aspects of the Trigeminal Nerve. The largest input to the brain is thru the proprioceptive aspects of the Trigeminal nerve that pass thru the mesencephalic nucleus of the brain. This is where Neuromuscular Dentistry becomes invaluable to correcting and eliminating long term chronic head and neck pain. While SPG Blocks address the autonomic nervous system neuromuscular dentistry addresses the Somato-Sensory nervous system that controls muscle function and posture. Myofascial Pain is the most common cause of pain anyhere in the body. The Trigeminal nerve accounts for over 50% of all input to the brain after amplification in the Reticular Activating System. The Reticular Activating System is part of the Limbic (emotional Center of Brain) System and connects to the Hypothalamus-Pituitary-Adrenal complex. This is also where we experience anxiety, depression and symptoms form stress overload. SPG Blocks can eliminate many of those feelings. Stress overload causes us to move into Sympathetic Overload and is frequently responsible for Sympathetically Maintained Pain seen in CRPS or Chronic Regional Pain Syndrome, previously called causalgia and RSD or Reflex Sympathetic Dystrophy. SPG Blocks help our bodies and mind reset from Sympathetic Overload and the “Fight or Flight reflex” and turns on the parasympathetic “Feed and Breed reflex” where we experience feelings such as well being and love. It invokes the feelings we have playing with puppies or babies, just the opposite of “being stressed out”.